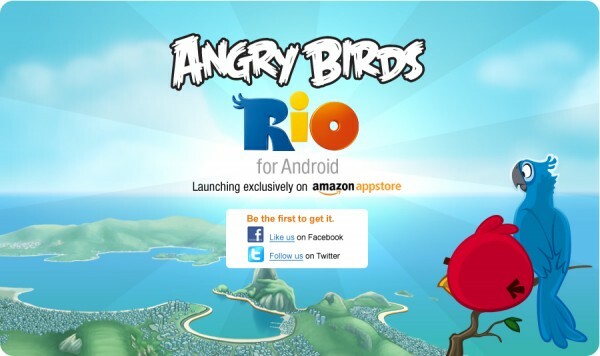 The still-yet-to-be-launched Amazon App Store just scored a pretty major exclusive, Angry Birds Rio. AB Rio would be the follow up game to Angry Birds Seasons and a game that has been set up to launch alongside a new kids movie that should be out in the next week or so. But what about the game itself? We have no word on a release yet, although we have a feeling that it will be either this week or next and possibly on March 22nd since that’s the date iOS users will see it. All signs point to this version of Angry Birds having a price attached to it, but again, no idea what that will be. Following @roviomobile would be a good place to start though, if you want the latest info.